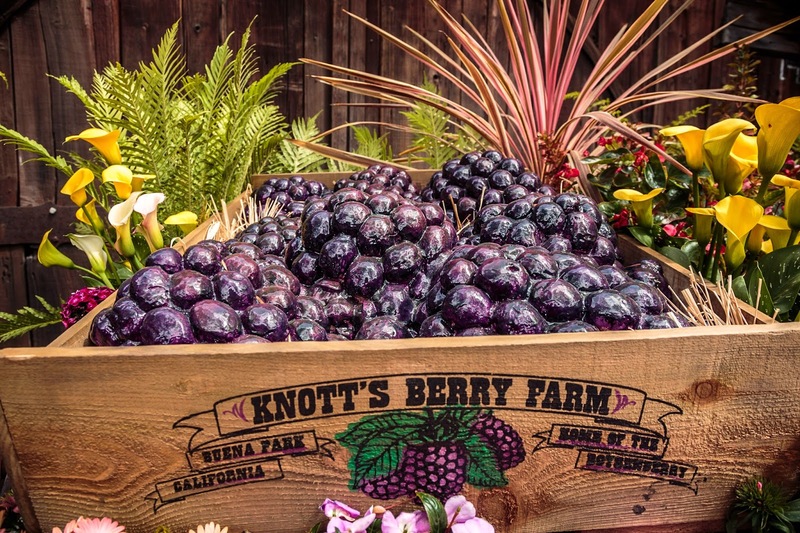 Boasting the sights, the sounds, and the flavors of the Wild West, starting this month you're invited to enjoy Knott's Berry Farm's Boysenberry Festival. Only at Knott's Berry Farm would boysenberries have their own festival. Love it! 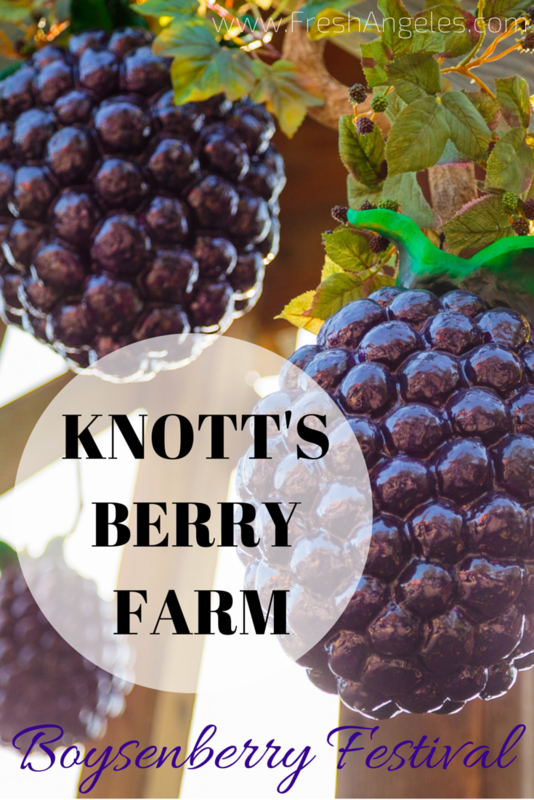 Celebrate Knott’s delicious roots during the Boysenberry Festival, March 28 – April 12, in the theme park’s historic Ghost Town. (The limited-time Festival is included with admission to Knott’s Berry Farm.) Bring your family and friends to experience the beautiful Spring season during this fun food extravaganza! The 16-day and entertainment festival returns with an unforgettable lineup of exquisite Boysenberry Bites, dazzling entertainment, the Wine and Craft Brew Tasting Garden, and more! Sun up to sun down festival includes dueling fiddlers, Jammin’ in the Dark, Peanuts Party in the Park, dancing and swinging to live music! This hoe down showdown is sure to be the wildest event around. I don't know about you, but you can't beat the food when you visit a theme park! With carnival style treats and world famous fried chicken, Knott's has been one of our family favorites for years. I don't think I'm alone when I say that a churro, nachos, and Boysenberry punch always make our time at Knott's one tasty day! 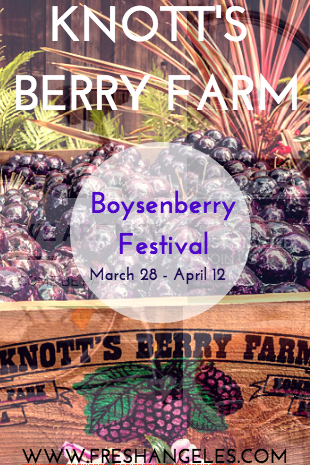 We have a whole list of Boysenberry flavored things to try when we visit during the festival. In honor of the deliciously dark berry, guests can wine, dine, dance, and buy boysenberry inspired products throughout the winding streets of the Old West. Festival entrances will feature rustic banners and oversized boysenberries, just ripe for taking that special photo. The Boysenberry Festival is included with admission to Knott’s Berry Farm, additional cost for food tasting experiences within the event, which also offers a full day of thrilling coasters and family fun rides, like the beautifully restored Calico Mine ride and the rejuvenated six-acre Camp Snoopy featuring three new rides. Knott’s has extended hours from 10am to 10pm during the Festival March 28 – April 12, 2015 allowing guests extra time to take advantage of all of the limited-time offerings. For affordable year-round fun for everyone and to explore the all the Festival fun, Season Passes can be purchased online at knotts.com now until April 12, 2015. Disclosure: I have received media passes for my family to attend this delicious event as guests of GigaSavvy. How BERRY nice of them! The opinions on this blog are 100% Fresh and 100% my own.